When adventure calls the Civic Hatch is with you all the way. 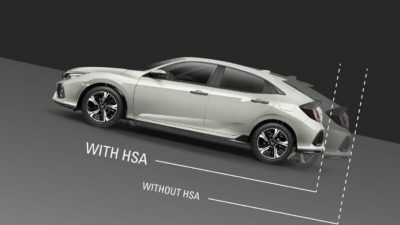 Redesigned with the power of dreams, the 2018 Civic Hatch encapsulates Honda’s passion for innovation and design. Its striking silhouette and bold looks are complemented by a sleek and spacious interior, complete with all the technology to keep you entertained, in touch and out of harm’s way… wherever you may go. 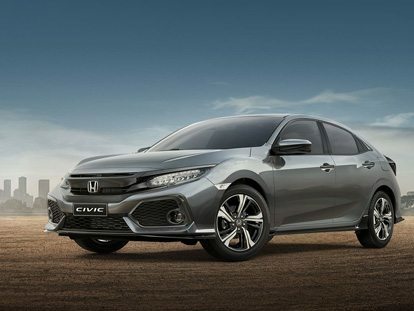 With its aerodynamic design, sleek lines and powerful stance, it’s perfectly poised to take on the title of best 5 door hatchback of 2018. 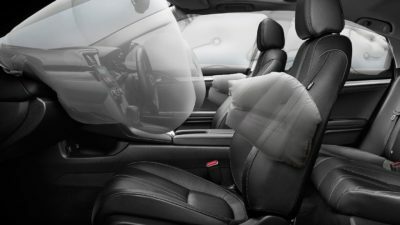 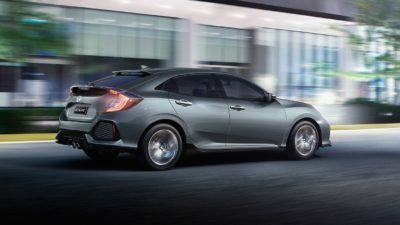 On the inside, the hatchback’s premium soft-touch surfaces, intuitive dash and clever storage means every drive will be in comfort and uncompromising style. 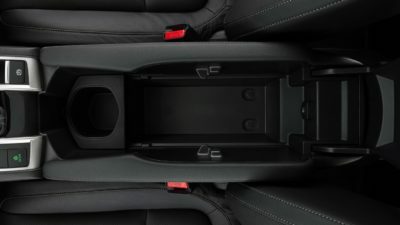 With an adaptable centre console, carrying an oversized drink bottle or storing a full-size tablet, has never been easier. 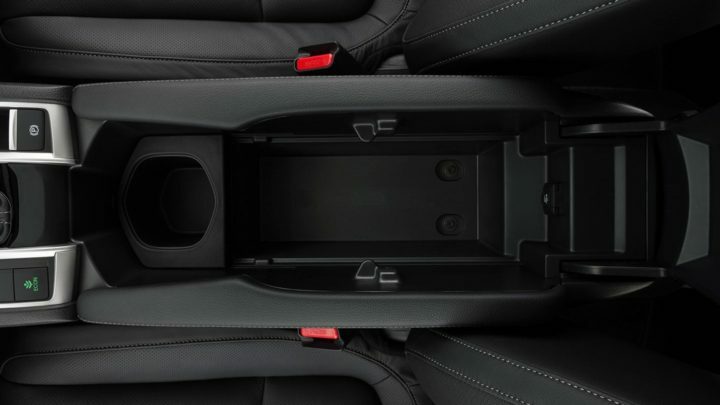 Upfront, a clever two- tiered storage area can hold a smartphone while keeping cables hidden. 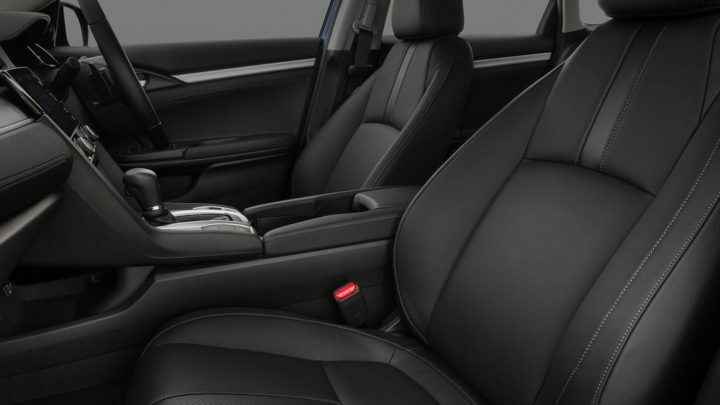 There’s even a sliding centre armrest. 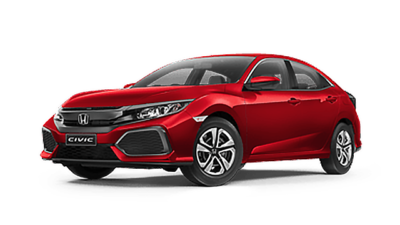 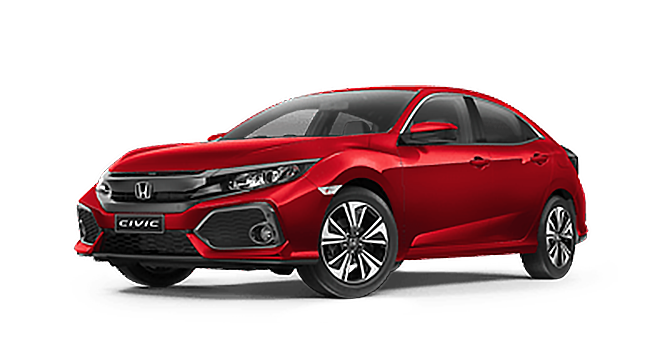 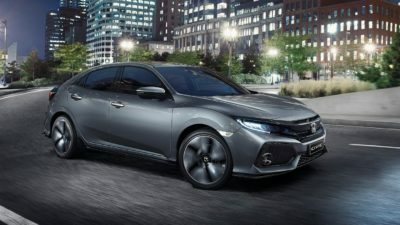 With Honda’s first-ever 127kw VTEC Turbo engine*, the Civic Hatch delivers a more responsive and dynamic drive from the moment you set off. 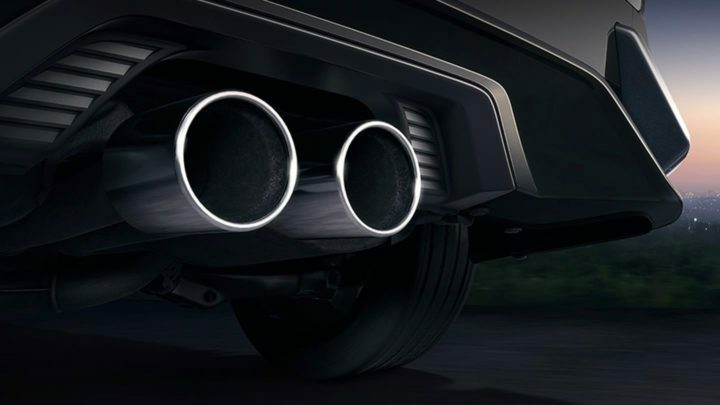 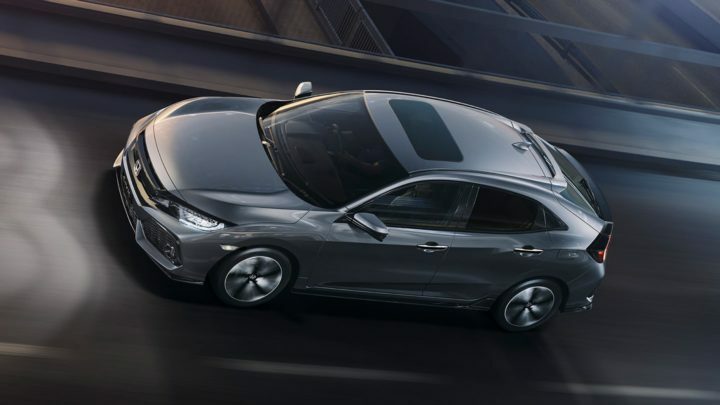 The Civic Hatch backs up its sporty style with an equally impressive Central Twin Exhaust*. 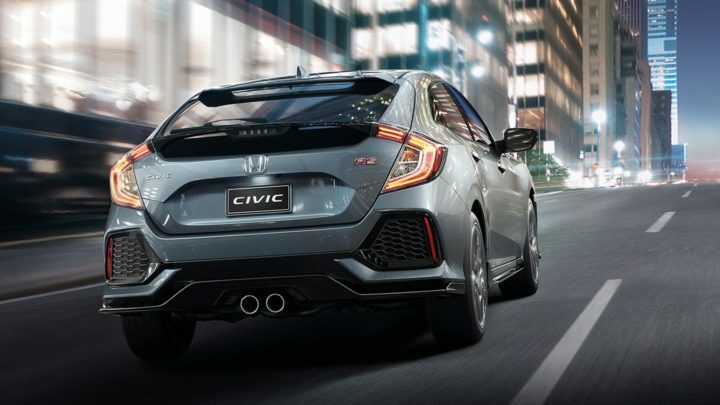 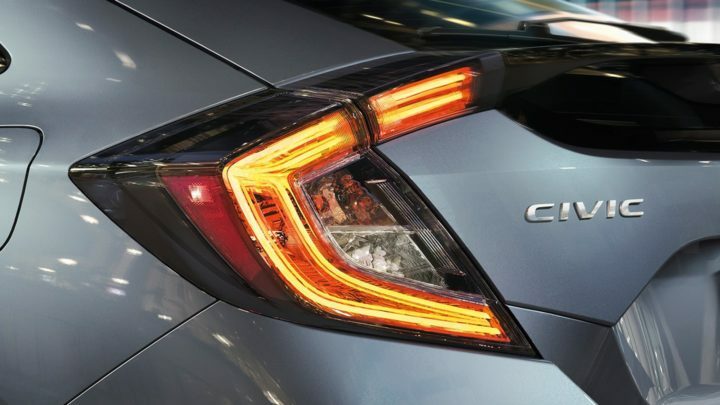 When you’re in the drivers’ seat, the power of the Civic Hatch will assure you there’s more than looks to this hatchback. Get a more responsive and dynamic drive from the moment you set off with the availability of Honda’s first- ever 127kW VTEC turbo engine. Available on VTi-L and above. Engineered with new, cutting edge technology, the 2018 Civic Hatch is the hottest hatchback leading the charge in next generation tech. 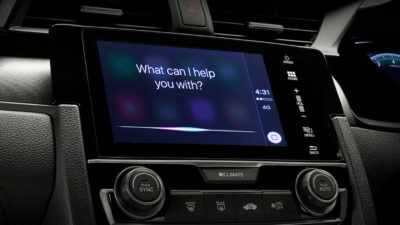 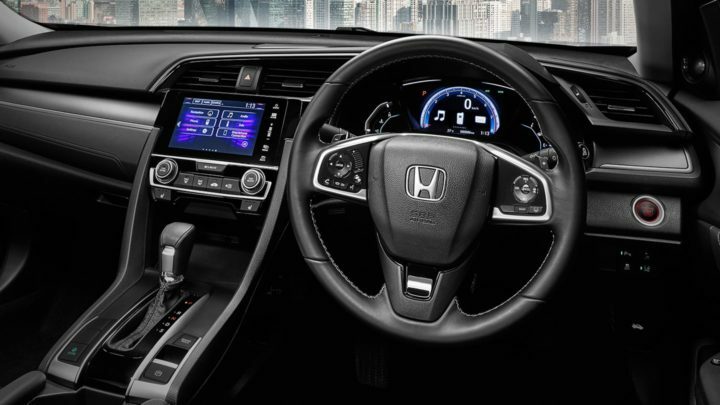 It wouldn’t be a Honda without its cleverly designed interface. 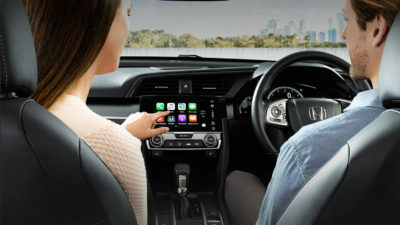 This full-colour, high definition display keeps you connected to your world without distracting you from the road. 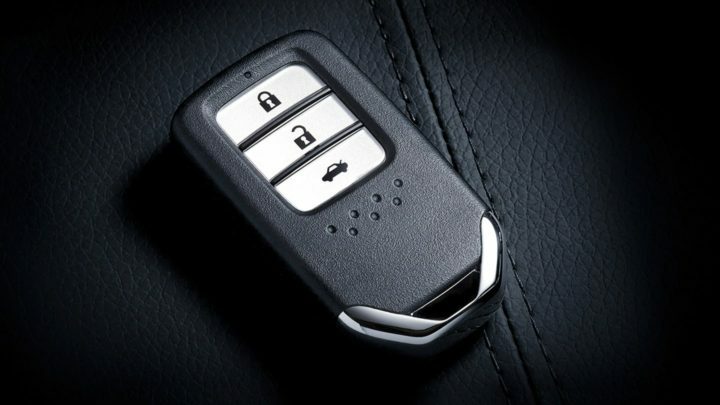 Simply tap, pinch or swipe and you’re in full command.